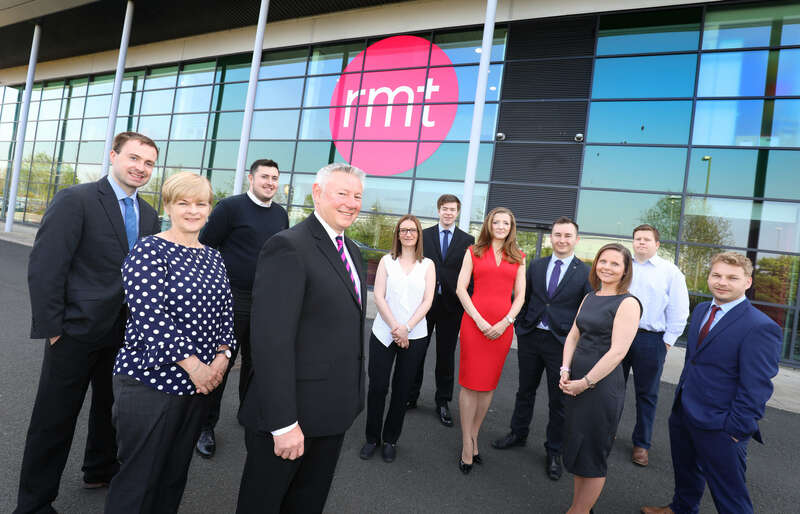 RMT Accountants & Business Advisors is launching a major recruitment drive as it continues to expand across all its practice areas. The independent firm has added ten new people to its Gosforth-based team in the last month in response to a raft of new business wins across all areas of the firm and growing demand from existing clients. Further new recruits are expected to follow in the coming months as RMT gears up for further growth in its tax, outsourcing, audit and healthcare teams. Joy Clegg and Rebecca Grieve have both joined the firm’s outsourcing division as a senior accountant and an accountant respectively, while Kasia May has taken up a personal tax senior position. Alex Gowthorpe and Daniel Sopp have come into the firm as accounts assistants, while accountants Aaron Jowsey and Craig Richardson have joined the RMT Healthcare team. Jack Sanderson is now part of the audit and accounts team, Michelle Vogel has taken a receptionist/administrator role and Nick Dalton has come in as an audit senior. Founded more than 60 years ago, it works with companies of all sizes both within and outside the North East. Mike Pott, managing director at RMT, adds: “Our practice is continuing to expand across all our areas and we’re bringing in new highly capable and qualified staff to ensure we can service this growing demand. “Activity levels for our corporate finance team have risen significantly this year, a trend that we’re confident will increase with the recent launch of the North East Fund, while we’re also working with a growing number of larger corporate clients from both within and outside the North East. “We’re increasingly taking on responsibility for a range of clients’ business functions, such as payroll management, human resources and technology management, and with many firms not having access to this sort of expertise within their own ranks, it’s something we’re expecting to see even more of in the future.